http://LisaMariaC.booklikes.com Lisa (Harmony) 3.0 Discourse on Method and Meditations on First Philosophy, 4th Ed. 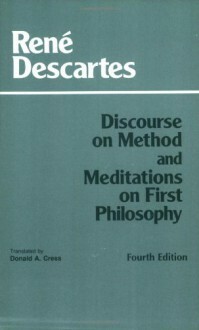 text Discourse on Method and Meditations on First Philosophy, 4th Ed. Done done and done. I'll write some review-like thing soonish.